Dr. Duc H. Phan, M.D. is Board Certified in Internal Medicine and has been practicing medicine for over 5 years. He was born in Canada and is the son of refugee parents whom escaped from communist Vietnam to North America for a better life. Raised with core values such as honesty, generosity and compassion, Duc gravitated towards the medical field as a career and went on to obtain his medical degree (MD) from the George Washington University in Washington D.C. He then went on to do his Internal Medicine residency at the University of Southern California, Los Angeles County program. What attracted him most to becoming an Internist was the opportunity to form close relationships with his patients and diagnose and treat a wide range of interesting diseases. Dr. Phan now calls Houston his home town. His hobbies include hiking, spending time with the family and going to movies. 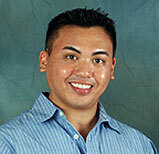 He hopes to form long, enjoyable, fulfilling relationships with the patients in the community. Please allow him the privilege to serve your primary healthcare needs.